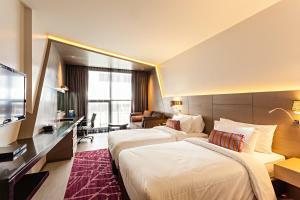 Best Western Premier Sukhumvit is located in the heart of the city on Sukhumvit 1. It offers free shuttle service to Ploenchit BTS Skytrain station, which is approximately 500 metres away. 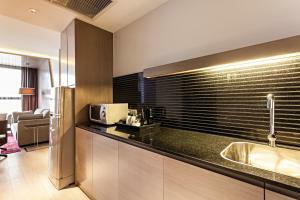 This property features a swimming pool, a fitness centre and free Wi-Fi throughout the property. 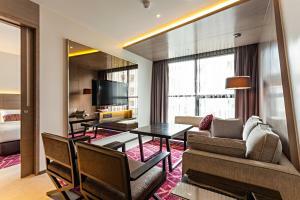 It is 2 km from Platinum Shopping Mall and Central World Department Store. Suvarnabhumi Airport is 40 km away. 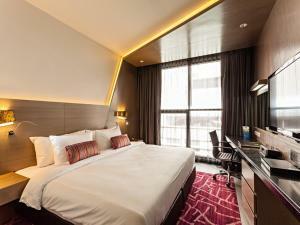 Rooms at Best Western Premier Sukhumvit are elegantly furnished and smoke-free. 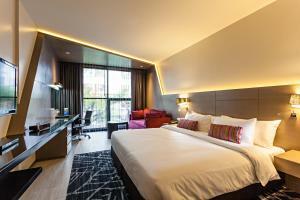 Each room features a 40-inch flat-screen cable/satellite TV with a DVD player, an iPod docking station and a seating area. It comes with a minibar, a safety deposit box and a sofa. 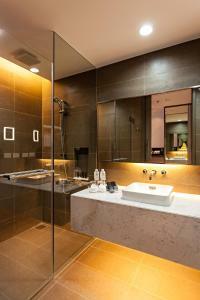 A bathrobe and a hairdryer are included in a private bathroom. Laundry and travel arrangements can be assisted with help from staff at the 24-hour front desk. An airport shuttle is available upon request at additional charges. Tasters offers a la carte menu with a variety of international dishes. Guests can enjoy cocktails and non-alcoholic beverages at the lounge or by the pool. In-room dining option can also be arranged. Free shuttle service to Ploenchit BTS Skytrain Station is available from 08:00-21:00 and subject to availability. Air-conditioned room features a 40-inch flat-screen cable/satellite TV with a DVD player, an iPod docking station and a seating area. It comes with a minibar, a safety deposit box and a tea/coffee maker. A bathrobe and a hairdryer are included in a private bathroom. 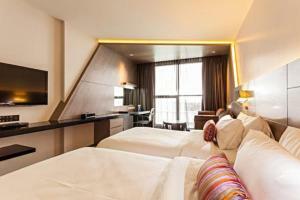 Rate: THB 3300.00 ... THB 11200.00; select dates below to get current rates. 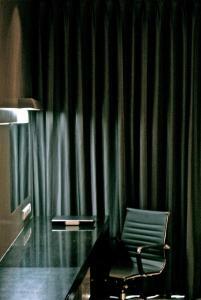 Room features a lounge area, a working desk and a 40-inch flat-screen TV. 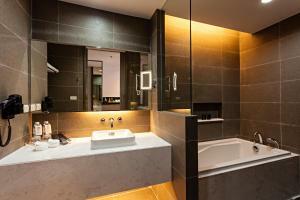 En suite bathroom comes with a bathtub and shower facilities. Tea/coffee making facilities and a laptop-sized safe are provided. 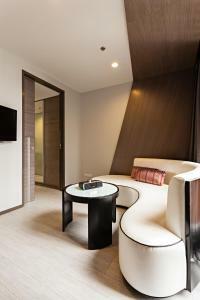 Suite features a separate lounge area, a sofa and a laptop-sized safe. 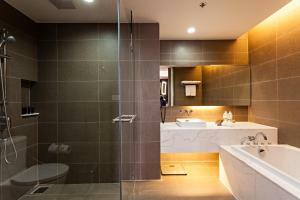 En suite bathroom comes with a bathtub and shower facilities.